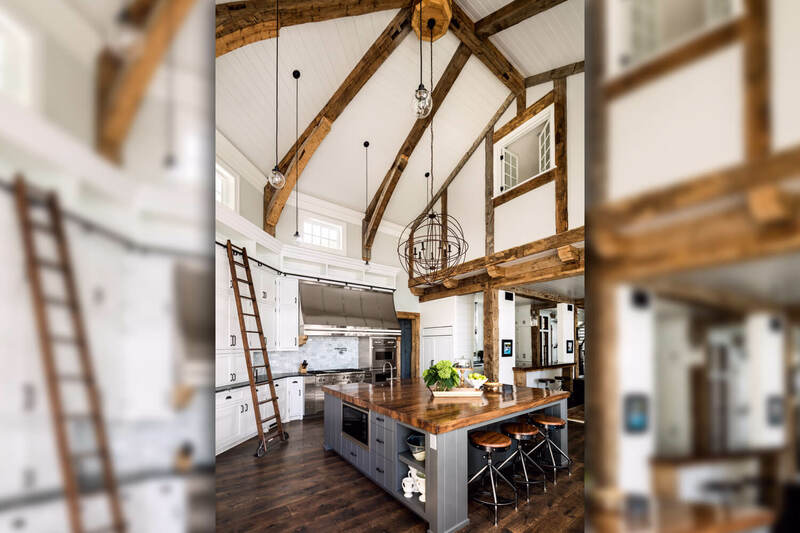 V-groove paneling and rustic timber beams on ceiling. Viking and Sub-Zero appliances and custom metal hood. Full size ladder with rail accessing upper cabinets. Center island with 3” thick wood countertop.